Has Constantine Been Canceled on NBC? 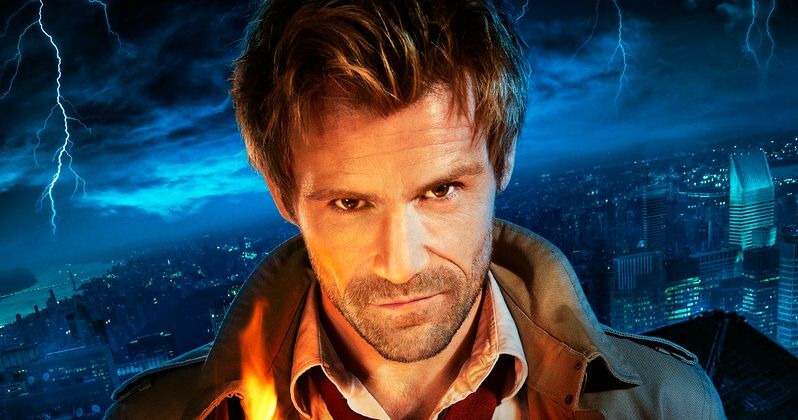 NBC's Constantine finished out its first season back in February, although we have not heard any official word on whether or not the network will cancel or renew the show. The network stopped production on the series after its initial 13-episode order, which is normally a surefire sign that the show will be cancelled. We reported in February that the network is considering moving the show to Syfy, which is also owned by NBC's parent company, NBCUniversal, but that rumor turned out to be false. Buzzfeed is now reporting that the show is indeed cancelled, despite any official word from NBC. The news doesn't come as a terrible surprise, since the show failed to find a foothold with its viewers. The season (possibly series) finale scored just a 0.8 rating in the 18-49 demographic, with just just 3.1 million viewers tuning in. The show debuted in October with a 1.4 rating and 4.2 million viewers. The show aired at 8 PM on Friday nights, before the network's hit fantasy series Grimm. Constantine is based on the DC Comics title Hellblazer, starring Matt Ryan as John Constantine, a magician and occult detective working in London. The series co-stars Harold Perrineau, Angélica Celaya, Charles Halford, Michael James Shaw and Jeremy Davies. Despite this new report, there may be hope for the show still, according to executive producer Daniel Cerone, who revealed on his Twitter account last week that NBC has invited the producers to pitch their Season 2 ideas at the end of April, and that the show is not dead yet. However, Buzzfeed writer Kate Arthur revealed she fact-checked her story with the network before stating the show was canceled. While Constantine may not be dead, it certainly may face an uphill climb towards getting an unlikely Season 2 renewal. Do you think NBC should bring Constantine back for another season? Let us know what you think below.